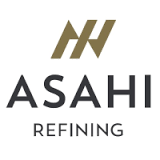 Asahi Refining is part of the Asahi Holdings company. Based in Japan, this business was best known as a collector and recycler of precious metals, and one that was connected to a number of industries, incoming dentistry, electronics and jewelry. However, in the last couple of years, Asahi Holdings has become best known as the owners of some of the biggest and best refineries in the world, and the producer of some of the most sought-after gold and silver bars. All of this was the result of Asahi Holdings purchasing one of the most respected brands in the bullion industry, from which it created the Asahi Refining subsidiary. Headquartered in the United Kingdom, Johnson Matthey was one of the most respected precious metal producers in the world, a title it held for close to 200 years. Johnson Matthey had a hand in introducing some of the biggest selling silver and gold bars to the market and was generally con-sidered to be one of the foremost experts on platinum. In December 2014, this company was acquired by Asahi Holdings in a deal worth 150 million Eu-ros, or around $165 million, with the deal being finalized some months later in the Spring of 2015. This purchase didn’t include the Johnson Matthey name, as Asahi Holdings intended to use their own Asahi Refining brand, but it did include all of the facilities and the machinery that JM had used to produce their high quality products over the years. One of the most celebrated refineries in North America, located in Salt Lake City, was included as part of this deal. This is where many of Johnson Matthey’s flagship products were created, includ-ing their 1 ounce and 10 ounce silver bars. The deal also included the transfer of a precious metal refinery in Brampton, Canada. Both of these refineries have helped Asahi Refining — whose parent company had been confined to Japan for many decades — to expand throughout North America and to take over from where Johnson Matthey had left off. 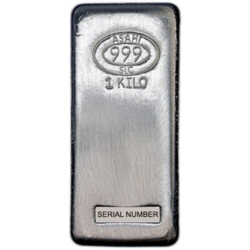 Many of the silver, gold and platinum bars that gave Jonson Matthey so much acclaim in this in-dustry, are now being produced by Asahi Refining. They are minted at the same refineries and created to the same high standards, with only the logo and the design being different from the Johnson Matthey bars that preceded them. Even before the JM purchase, Asahi Holdings had an extensive history in precious metal assaying. This is something that they have been able to utilize since 2015, with many of their precious metal bars coming with assay certificates and stamps, as well as individual serial numbers.